When calling from the UK/Europe dial 00 1 first; from North American dial 1 first; from Russia dial 8 10 1 first. Remember that we are in Barbados, which is Eastern Caribbean Time Zone, UTC-04:00. What is 8 plus two? Mullins Bay 10, “Pandora,” is located in the gated community of Mullins Bay on the West Coast of Barbados. This three bedroom, two story townhouse is tastefully furnished and is just a stroll away from Mullins Beach. The ground floor comprises of the living room, kitchen and one bedroom. This bedroom is furnished with a double bed and is the only bedroom which is not en-suite however the bathroom is right next door to the bedroom and is complete with a shower. The living room opens onto a patio for outside dining near the pool. The first floor comprises of two additional bedrooms which share a terrace equipped with patio furniture. Both bedrooms are en-suite with showers only. One bedroom is furnished with a King-size bed and the other with two Twin beds. – Complimentary parasols, sun loungers and beach towels. 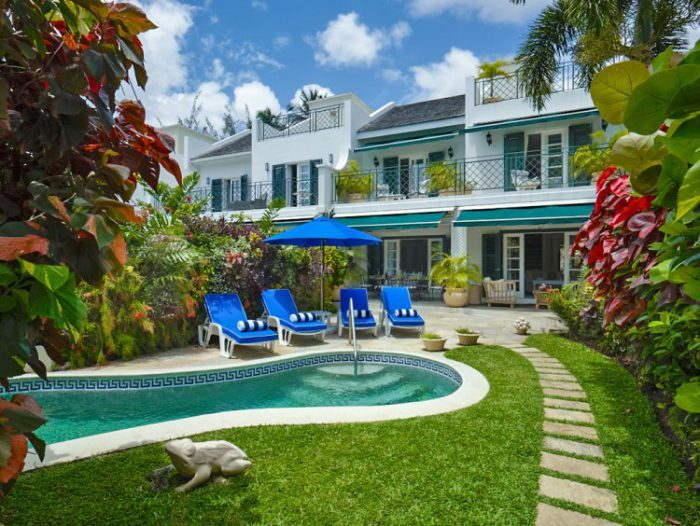 A fully air-conditioned family villa in the Mullins Bay complex, opposite the popular Mullins Beach and Mullins Beach Bar, with a covered dining and living terrace overlooking a private pool and beautifully manicured gardens. An idyllic beach house right at the water's edge of the well known Mullins Beach and steps from the popular Mullins Beach Bar & Grill, the spacious terrace comes complete with a spectacular sea view and the perfect place for you to sit back, put your feet up and admire magnificent sunsets.